WANT TO KNOW WHEN WE GOT NEWS ON OUR LATEST EVENT? SIGN UP FOR OUR NEWSLETTER NOW! 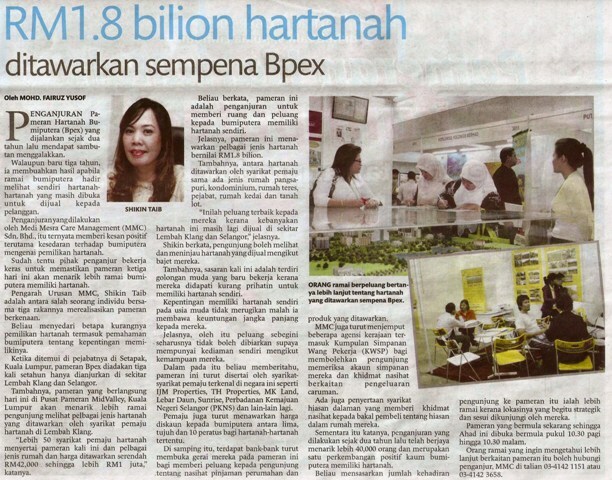 BPEX is the largest Bumiputera Properties Exhibition in Malaysia organised by MMC (Medimesra Care Management Sdn Bhd). Never miss-out on important announcement on the next best Bumiputera Property Exhibition related news!